Lexus is showing its 2020 RC F and RC F Track Edition in Detroit. On the opening day of the 2019 North American International Auto Show, Lexus unveiled two new versions of the RC F luxury sport coupe: an upgraded 2020 iteration and a limited edition track model. 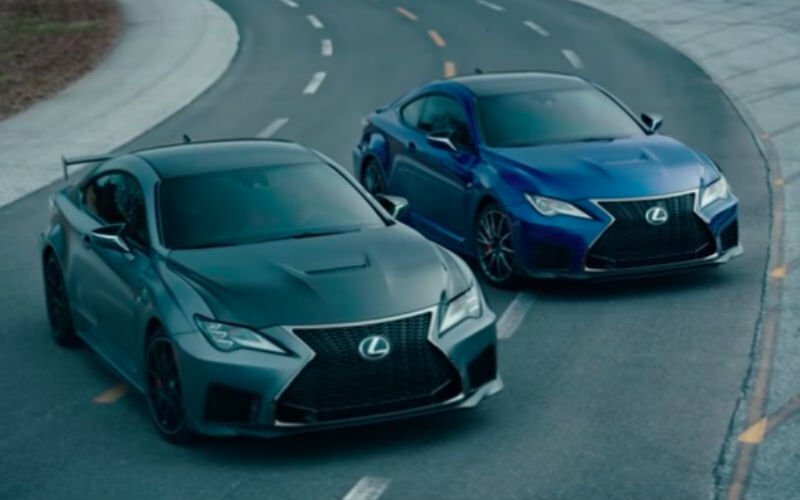 Since 2014 when the very first model was unveiled at the annual North American International Auto Show, Lexus has been refining and refreshing the RC F coupe, trying to draw its audience to the sporty model. Today, the company announced the latest version with increased performance, new styling, and a slick Track counterpart. Since the 2019 model year, the normally aspirated 5.0-liter V8 hasn’t changed, nor has the eight-speed automatic transmission; however, the horsepower slightly bumps up to 472hp from 476hp and the torque from 389 lb-ft to 395 lb-ft. The drive ratio has also been ever so slightly increased from 2.93 to 3.13. Likewise, with the styling, the alterations are subtle. The headlights have been upgraded to staked LED lights, the taillights have been reshaped, and the grille now has a lower lip spanning across the bottom. If you weren’t paying attention, you may believe that this model year is the actually just the 2019 version. The RC F Track Edition, too, is powered by a 5.0-liter V8 engine with identical horsepower as the street model; however, thanks to a reduced weight — due to making seemingly everything from the splitter to the spoiler out of carbon fiber — the downforce is accordingly improved, and the drag reduced. Even the previously steel brakes got the carbon treatment. The engine combined with the lightweight body allows the vehicle to go from 0 to 60mph in just under four seconds. Both 2020 RC F models will go into production during the second quarter of 2019 with pricing announced near the on-sale date.